The Sproat Lake Marine Patrol has been up and running for fourteen consecutive years and has developed and expanded since then. Our presence on the lake keeps boaters aware and is greatly appreciated by the residents and users of Sproat Lake. Our crew has formed many alliances around the community of Port Alberni which helps to expand and strengthen the program and our efforts to keep the lake safe and clean. We work out of the Sproat Lake Provincial Park alongside the employees of the park to help keep the boat launch organized and provide tourist and lake information. In unison with the Sproat Lake Fire Department and B.C. Forest Service enforcement officers, we help to enforce fire bans and keep fires under control. The Canadian CoastGuard and Canadian Coast Guard Auxiliary support our "Kids Don't Float" Program. 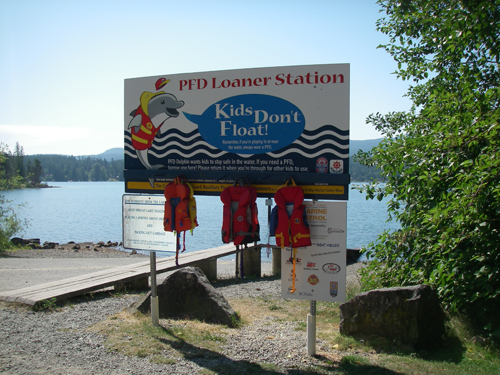 The program provides Personal Flotation Devices (PFD) to children around the lake who need them and is run on an honor system. 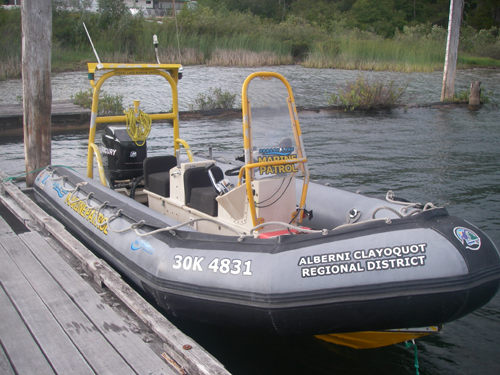 Lastly, Alberni-Clayoquot Regional District who continues support has kept the marine patrol running for the past fourteen years. What does the Sproat Lake Marine Patrol do? Amenities and features of Sproat Lake and general tourist information. Observe on-shore activities. Record and report activities or incidents of concern. Maintain patrol boat and other equipment and other facilities. Collect and record water clarity and temperature at predetermined locations. Where can we find the Sproat Lake Marine Patrol? The marine patrol is stationed at the Sproat Lake Provincial Park. Throughout the day the marine patrol will be located at the boat launch during expected peak volume. When the marine patrol is not at the boat launch they will be patrolling the lake completing daily patrols. Drownings and other water-related injuries in canada 10 year research. (n.d.).